Wound healing, hydrogel, tissue regeneration, wound dressing, tissue engineering. 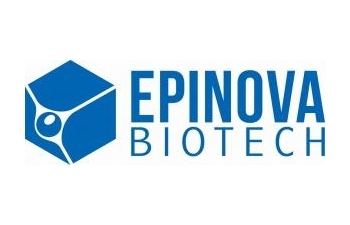 Epinova Biotech is an innovative start-up, founded in 2011. Epinova Biotech team's expertise in material science, biocompatibility and tissue engineering allowed the creation of a new bioactive polymeric substrate for epithelia growth (Epigel). This innovative biocompatible and bioactive hydrogel is described in the international patent application PCT/IB201/052457 and European patent 2714113 (European Patent Bulletin 15/04/2015) entitled "Hydrogel composition ad uses thereof" and represent the "technological core" of Epinova Biotech products. Epinova Biotech could be considered as a "technological platform", focused on tissue engineering and wound dressing. Its primary goal is to "sell knowledge" for the production of innovative medical devices. The existing patent represents the first step in developing a new medical device for the treatment of chronic wounds. Moreover, veterinary and cosmetical application for Epigel have been developed. Products: medical devices for skin care.